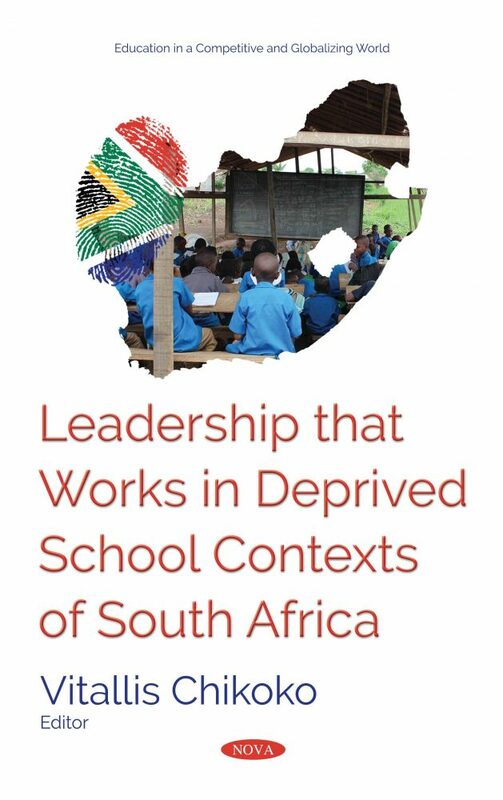 This book, comprised of twelve chapters, is about what we the authors perceive as successful leadership in selected primary and secondary schools that are considered deprived in South Africa. South Africa was under colonial rule for centuries and then under apartheid rule for 40 years. During the latter period in particular, society, including the education sector, was structured according to race. The black majority population suffered severe socio-economic and political oppression. Thus, their communities, including rural areas and township (population dense parts of urban areas largely for low-income earners) settlements became deprived. Education therein was poor and under-resourced. The post-apartheid (from1994 to present day) democratic government in general, and the Department of Basic Education in particular, have made and continue to make sterling efforts to redress the inequalities and injustices of the past. However, a lot has yet to be done as most historically black communities remain socially and economically deprived. In search of better education for their children, black parents that can afford to take their children to former white, fortified schools leave the former black schools in worse financial condition. This trend is unsustainable. Against that backdrop and in the midst of many underperforming schools, there are schools in deprived contexts (rural areas and townships) now performing very well, particularly in terms of learner pass rates. This book is about leadership in the latter schools. In this book, the authors propose that leadership is the leading factor for such success. This book is based on empirical evidence from various researches conducted in the schools in question. The book begins with a chapter that discusses the nature of deprivation. Thereafter, one chapter discusses expansive leadership as an important feature in the schools. A couple of chapters dwell on principals’, deputies’ and school management teams’ lived experiences of transforming some of these schools. There is a chapter on specific issues of teaching and learning. A guest chapter from South Africa’s neighbour, Zimbabwe, discusses ethical and responsible leadership in one of its schools. The book also has chapters on the mobilisation and management of resources, school community partnership, school governance, and policy matters. Overall, this book is about how people, when working together, can transform their own schools into viable, vibrant and moving institutions despite suffering deprivation. The authors believe that lessons therefore are relevant to all underprivileged schools around the world. This book will be useful to undergraduate and postgraduate students of education in general and education leadership, management and administration facilitators in particular, as well as academics, policy makers, school managers and teachers.